More White. More Light. More Life. Introducing the new VELUX white-painted roof windows. As part of the 250 date “VELUX 2016 Tour” of the UK, Kommando & Story are shedding some light on the brands newest and most modern addition to their product portfolio. As tastes and styles evolve, so too must the designs of the world’s leading roof window manufacturer. The new white-painted range is ideal for contemporary interiors and the “feel good” factor that it brings to a room has been mirrored in the design of the campaign, with every person taking part being guaranteed a prize of some kind as “everyone’s a winner with VELUX!”. 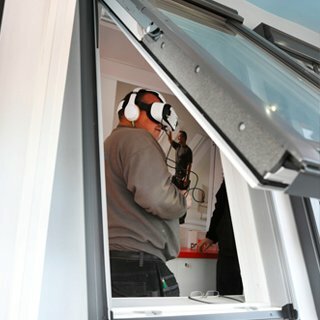 To give VELUX suppliers and installers a preview of the features and benefits of the range, an immersive Virtual Reality (VR) experience has been created to transport them to the VELUX factory in Denmark. People are taken on an 360° journey from the forest where the wood is sourced, right through to the building, testing and installation of the innovative new roof window design. This provides a full understanding of the product along with instilling a sense of community and workmanship with the brand. 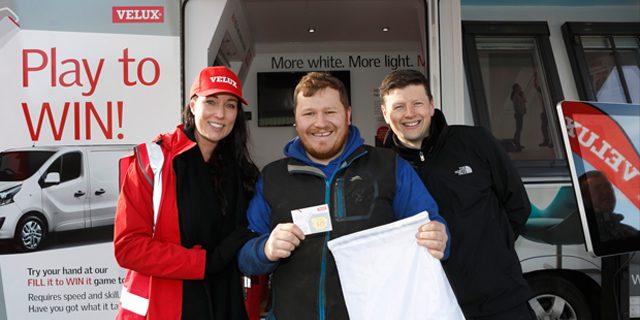 Housed in a fully branded touring van featuring functioning VELUX roof windows, the experience invites installers to engage in an interactive game offering the chance to win a brand new Vivaro van worth over £20,000 with various high-value give-aways including Makita Drill sets and white iPad Minis. A live leader board of winners from across the country is displayed in each van, as well as on the campaign website. 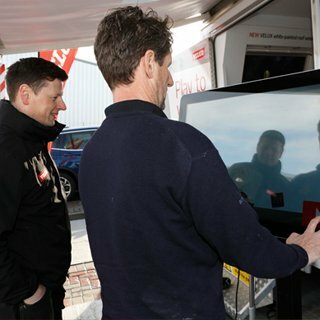 Alongside a team of VELUX experts, trained and experienced Kommando brand ambassadors are on hand to encourage the target audience to engage in the VR experience & game as well as facilitating the all-important data-capture so central to the ROI of the campaign. 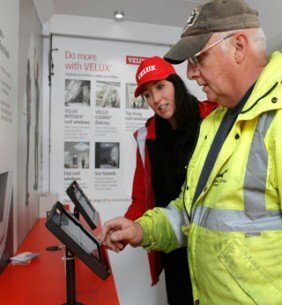 Visitors to the experiential zone are invited to sign up to the VELUX reward scheme on the spot, allowing them to reap the benefits of the day well into the future. The tour launched on 1st March in various locations throughout the UK & Ireland and will continue for the next 16 weeks, with activity concluding on 22nd July. The brand experience is running alongside a national integrated campaign including TV, radio, digital, partnership activity, social media and PR. 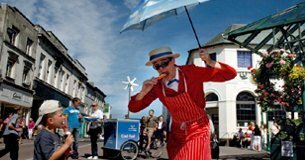 If you have an experiential project you'd like to chat about, let us know! 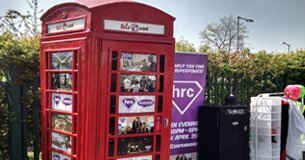 "Where anything is possible, except invisibility"
Kommando & Hertford Regional College have joined forces to empower potential students by arming them with information for their future.